I came across this image earlier and find it really funny. 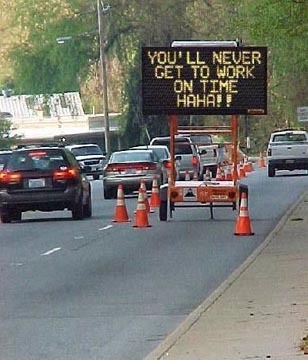 It's bad enough that roadworks causes too much traffic but seeing this sign would let you think or react in two ways. can't comment coz the image did not appear. I am looking forward to hear any from u! You can check the sponsors' list here.